Pearltainer - Portable Cabins. Call: +97165536205. It is now easy to choose a modular or portable building to accommodate any number of people – for any application. Whether you’re looking for extensive office space or a small stand-alone office, toilet facilities. 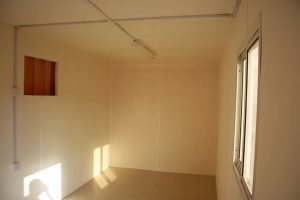 We Pearltainer FZE has a building to fulfill your every need. The choice of versatile portable and modular buildings we supply can be adapted to meet the needs of almost any building use. Whether you decide to hire or buy, we’ll tailor your building to fulfill your individual requirements. 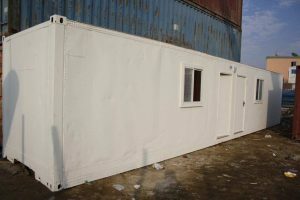 We have established a closer presence in the industry by fabricating Cabins that are highly appreciated for its new and improved designs, perfect dimensions, anti-corrosive properties, durable and sturdy construction, more load tolerance and a superior interior that can be availed at competitive price bands. We work in close cooperation with our clients to coordinate with their exacting requirements and to maximize their benefits. Our domain expertise and design efficiency lead us to a continual growth in both government and private sectors of the industry. Moreover, our position is strengthened by the technological advancements implemented at our modernized infrastructure. Our work set up equips our team members to draw important acquisitions across the country, including leading business entities.